Morocco Travel Guide, plan your trip up to -70% off To take advantage of these offers, join now for free! Vibrant and diversified, Morocco is a place that wows and fascinates in equal measure. From warm hospitality and sweeping deserts to ancient cities and epic mountain ranges, this is a country that has it all. 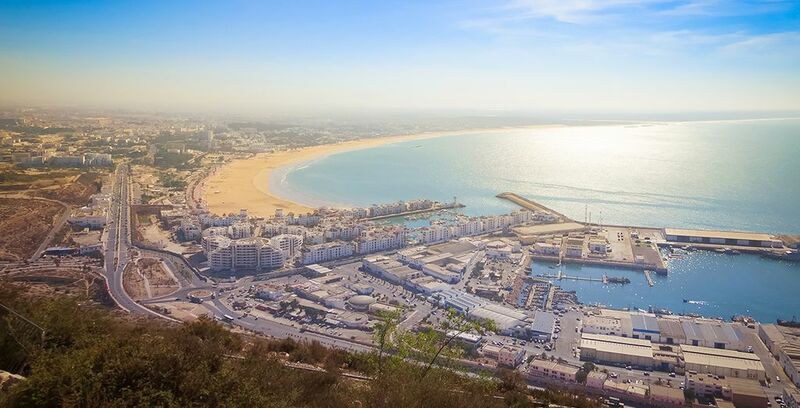 Known as a gateway to Africa, Morocco has long been one of the most popular tourist spots. It is a fragrant and colourful country, which is bursting with personality. Expect a sensory overload! From the coasts and desert to the high Atlas mountains, you will struggle to find a country that hits all of a traveller’s senses in such a manner. Marrakech is an imperial city and the most popular part of Morocco for tourists, and usually acts as a base for most holidaymakers, with some then venturing to other parts of the country, such as Essaouira and Tangier. Tourists also like to visit the other imperial cities – Rabat, Meknes, and Fes. Rabat is actually Morocco’s capital. All of these cities are steeped in character and history. 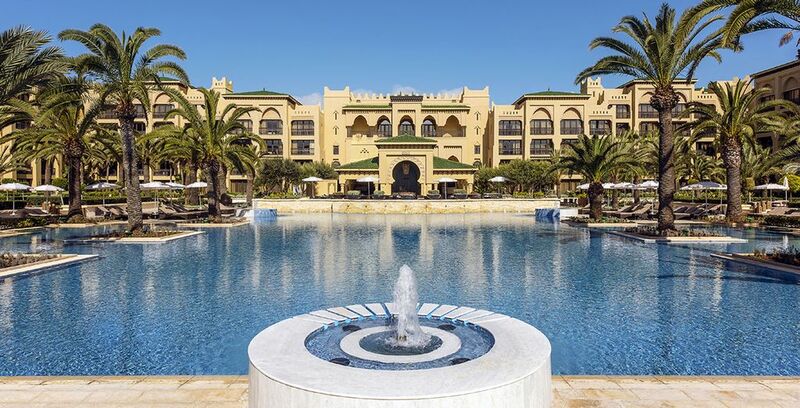 While it may seem like everything is about the hustle and bustle in Morocco, there are plenty of opportunities to relax, as the country boasts beaches along both the Atlantic Ocean and the Mediterranean Sea. Outdoor fans can also get lost in the diverse mountain ranges and the huge assortment of activities, from seeing local wildlife and bird spotting to horse riding and mountain biking. 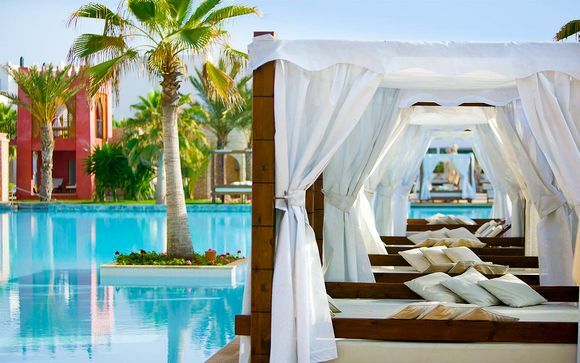 If that was not enough, Morocco gives you easy access to the magical Sahara Desert – the world’s biggest hot desert. You will find excellent shopping opportunities and exquisite architecture too. Plus, the food is pretty tasty too! 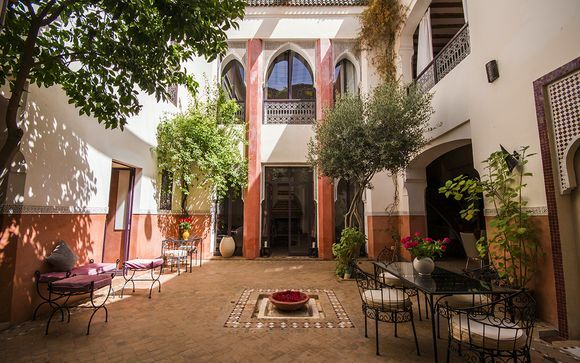 Some of the best art galleries include Matisse Art Gallery, Marrakech Museum, and L'Atelier 21. The David Bloch Gallery is also worth visiting, especially if you are a fan of contemporary art. This is a unique spa experience, to say the least! A Moroccan hammam is a series of rooms, going from hot to cold. It is a traditional way to bath in Morocco, offering sheer relaxation. This is an archaeological site, located near Fès in the Jebel Zerhoun Plain. You can explore an abundance of Roman ruins, with the Arch of Caracalla being one of the most impressive. As mentioned, the four imperial cities are Rabat, Marrakesh, Meknes, and Fez. Each city has something unique to offer in terms of history, architecture, heritage, and culture. Ouzoud Waterfalls are among the most popular. Cascades d'Akchour is another heavenly spot. A lot of people expect Morocco to simply be desert dunes and winding souks but it is so much more than this. There are 1,200 miles of coastline for you to explore, featuring picturesque beach towns, busy fishing ports, and charming harbours. Offering some of the best views in the world, the Atlas Mountains in Morocco are striking and majestic. You can discover the region's ancient Berber civilization while also climbing to the highest peak in North Africa. 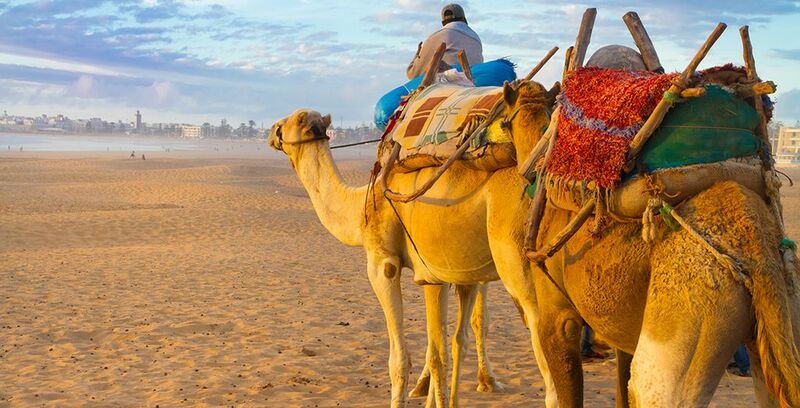 There are many different ways you can explore the Sahara Desert. Desert tours and camel treks are the most popular. This is a marketplace in the old city of Marrakesh. It gives you a traditional taste of the country, called the "destination for all magic". Fes is the oldest city in the country, and the Medina here is the biggest in the world. The craftsmen here are incredible, creating a colourful and vibrant maze to get lost in. A lot of people tend to visit Morocco either during spring or autumn. Spring, between mid-March and May, is a great time for mountain hiking because the landscape is green and lush. The temperatures are also very pleasant during September and October. If you go during the summer months, be prepared for the scorching heat. Flying is the most obvious way to get to Morocco. Flights from the UK to Marrakesh tend to talk around three and a half hours. There are many airports in the UK that fly to Morocco, ranging from Manchester and Gatwick to Heathrow and Dublin. An alternative option is to fly to Gibraltar, Spain, or France, and then take the ferry from one of these destinations. 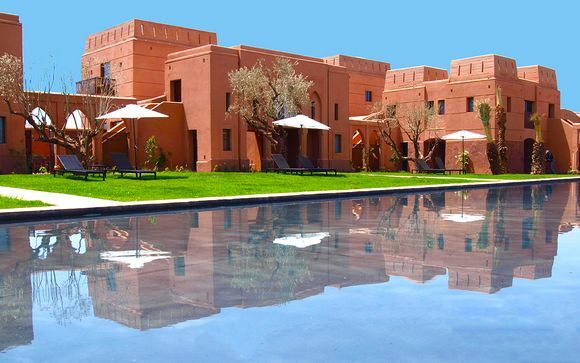 There are lots of beautiful hotels in Morocco, so we have narrowed down our top three picks. 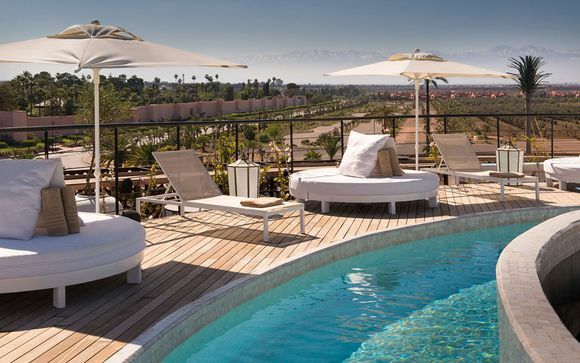 This 5* hotel offers luxury at every turn, blending sleek contemporary design with traditional Moroccan elements. 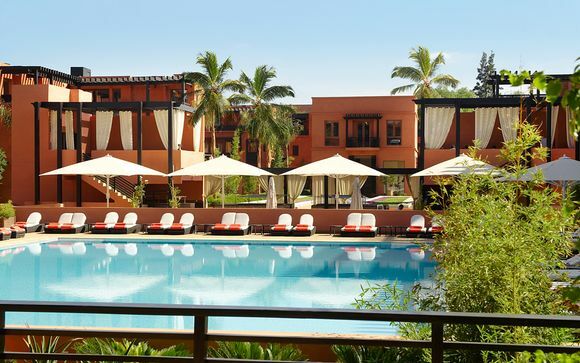 It is a 10-minute drive from the medina of Marrakech, overlooking the incredible Atlas Mountains and nestling in the shade of live tree groves. From spa treatments to a huge assortment of activities, there is something for everyone here. 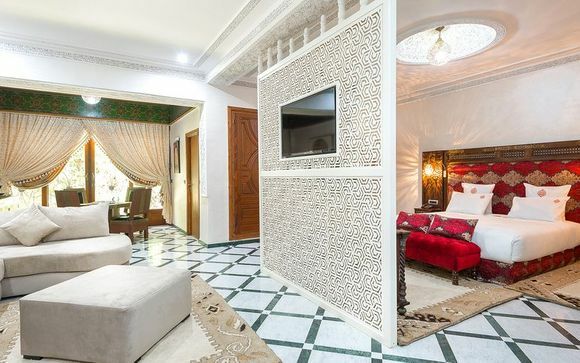 This 4* star hotel provides you with the perfect base to explore everything that Marrakech has to offer. It is situated near to the historic centre of the Red City, and you can also expect breathtaking views of the Atlas Mountains from here. 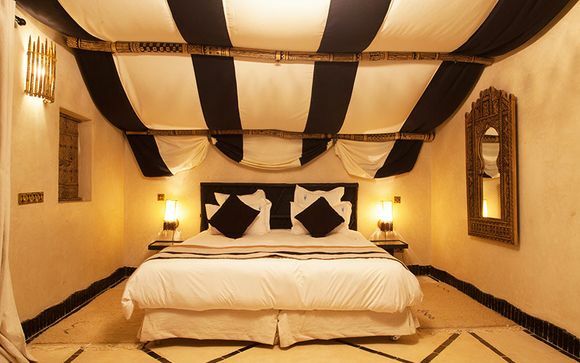 This hotel boasts traditional design and opulent décor. Not only can you enjoy a luxurious stay, from the spa facilities to the pool, but you are a matter of minutes away from all of the best attractions in the city. The culture of the country reflects the Arab and Berber influences. It is a religious and conservative country, which is something women should be mindful of when dressing in Morocco. You should attempt to cover body parts considered ‘private’, especially in the more rural areas. The dress code is more relaxed in cosmopolitan cities such as Fez, Rabat and Marrakesh. There are lots of fascinating museums and galleries in Morocco whereby you can explore the history and culture of the country. It is good to know a little bit about the local practices, traditions and customs in Morocco. Morocco is an Islamic country. Muslims pray five times per day, and you will often hear prayers coming from speakers of the mosques – the first call happens at dawn. Friday is a Muslim holy day, and so market stalls and shops may close at around mid-day. Please note that Muslims do not smoke, drink, or eat during Ramadan, yet they are tolerant towards tourists or non-Muslims who do not follow this practice. Ramadan tends to happen around May/June, so it is worth keeping in this in mind if you are going to be travelling during this period. In terms of holy places, a lot of the mosques are out of bounds to non-Muslims. In Casablanca, the Hassan II Mosque is an exception – tourists can visit at certain times of the day. There are lots of unique souvenirs you can bring back from Morocco. For beauty lovers, Argan Oil is a must. You will have probably noticed that this is included in a lot of beauty products, yet it is only a filler that is contained. In Morocco, you can get argan oil that has been derived straight from the argan tree, meaning it is in a pure form. You can buy it either in cosmetic grade for your skin and hair or culinary grade for drizzling on dishes and cooking. Foodies can also find a lot of spices in Morocco to take home. For a traditional home item, a Berber rug is a good choice. These rugs are intricately patterned and vibrantly coloured. The currency used in Morocco is the Moroccan dirham. You can expect roughly 12.35 Moroccan Dirham (Dh) for £1. Of course, this fluctuates depending on the exchange rate. Morocco follows CET time, making it one hour ahead of the UK. The official language of Morocco is Arabic. However, a lot of people speak French, and so it is deemed the unofficial second language of the country. You will find a large portion of people speaking French, of all ages, throughout the entire country. If you are on the mainstream tourist path, you will find a lot of English speakers. This is an emerging language in Morocco, especially in the bigger cities. There are a number of essentials you should definitely pack for your trip in Morocco. Imodium (or an equivalent) definitely comes recommended. We’re sure you don’t need us to elaborate on that one – just make sure you pack it. You will also need to protect yourself from the sun, so a hat and sunscreen are a must. Insect repellent also comes recommended, and you should definitely pack a scarf or head wrap out of respect for the local people. You will also need loose-fitting pants, with maxi dresses and long skirts being a must for the ladies. A light sweater is a good inclusion too if you are going to explore the High Atlas Mountains, as they can get a bit cold. Other things to pack include appropriate footwear, sunglasses, a day backpack, hand sanitiser, and an adaptor. 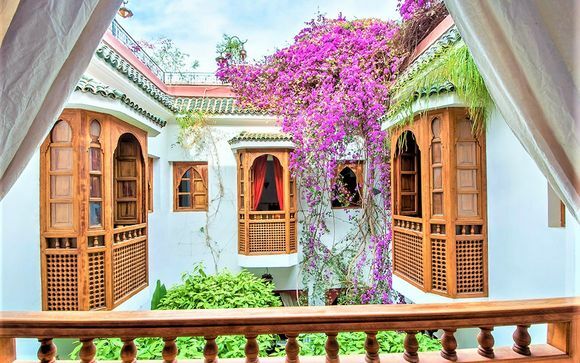 If you are visiting Morocco for the first time, either a ten-day or two-week break is ideal, giving you the perfect opportunity to visit all parts of the country. A lot of people do go for shorter trips, though, so don’t be put off if you only have a week to spare. Moroccan cuisine is definitely a highlight. It has been influenced by the countries exchanges and interactions with lots of different nations and cultures over the centuries. This means it is now a mixture of Mediterranean, Andalusian, and Arabic cuisines, with a mix of Sub-Saharan and European influence thrown in. Tagine is the most famous dish. This is a slow-cooked, rich Moroccan stew, which is a must try while visiting. Other dishes worth a mention include Harira, Rfissa, and Couscous. There are lots of fun things to do in Morocco as a family. Morocco is a relatively safe place, with little turmoil in recent years, unlike a lot of other countries in the region. There are a lot of kids parks throughout the country, including two small amusement parks in Marrakech designed for younger children specifically: Paloozaland and Ludipark. You can also go on camel rides or even take a hot air balloon ride. Taking a pet to Morocco is relatively easy, although it is worth pointing out that pets aren’t hugely popular in the country, particularly dogs. Nevertheless, if you do want to take your pet with you, you need to make sure it has a rabies vaccination more than 30 days prior to your travel date. Furthermore, you need to receive a notation from a licensed veterinarian that your pet is parasite free, current shots, and a certificate of the current health of your pet. You will also need to pay a fee of $33. No import licenses are needed and your pets will not be quarantined so long as you have all of the required paperwork from the Moroccan Consulate. You do need to take the required identification precautions for your pet, though, as Morocco is not part of the Pet Travel Scheme. Morocco: What budget to plan? It is recommended that you assign Dh500 per day for budget holidays, between Dh500 – 1400 for mid-range holidays, and Dh1400 for top end holidays. The budget holiday includes basic accommodation, a cheap meal, and bus journeys. The mid-range includes a hotel room, admission to sights, and a nice dinner. The high-end includes the likes of car hire, day tours, and more luxurious rooms. It is important to note that tipping is a key part of life in Morocco. Almost any service can warrant a tip. Morocco is based in the far north-west corner of Africa. It boasts a vast shoreline, which stretches from the Straight of Gibraltar to the Atlantic Ocean. Varied is the best word to describe the topography here. One of the great things about visiting Morocco is that you can expect such a varied range of scenery. There are two plug types used in Morocco – E and C. E is the plug that has two round pins and a hole for the male earthing pin of the socket. The C type plug is the one with just two round pins. You do need to be mindful regarding what you wear in Morocco. You should make sure you are respectfully covered, especially when visiting mosques and other religious and cultural sites.